Dr. Kenneth Craig is Professor Emeritus of Psychology at the University of British Columbia and Director of the BC Pain Research Network. He has had a long academic career at UBC where he served as Director of the Graduate Programme in Clinical Psychology and Associate Dean in the Faculty of Graduate Studies. His research focuses upon pain assessment using nonverbal methods, focusing upon infants and children, and people with intellectual disabilities and cognitive impairments, and psychosocial factors in understanding and controlling pain, described in the social communication model of pain. This is published in nine books and >250 papers in scholarly volumes and journals. Current research funding is provided by CIHR, SSHRC and NIH. 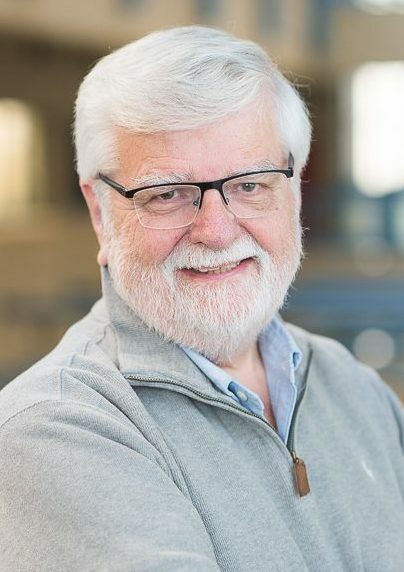 He served as Editor-in-Chief of Pain Research & Management and the Canadian Journal of Behavioural Science, and as President of the Canadian Psychological Association and the Canadian Pain Society and on the Council of the International Association for the Study of Pain. Dr. Craig's research seeks to expand our understanding of pain in the interests of improving clinical management by focusing upon psychological and social parameters. Pain is often not recognized, inadequately assessed, underestimated, and either poorly managed or ignored. The importance of the social environment in dictating whether an individual is exposed to pain, how it is experienced and expressed and how others assess and treat the individual in pain have led to a general framework for organizing our understanding of pain, the social communications model. Within this framework, we have explored how the family and cultural environment influence how children learn to understand and react emotionally during pain, how various forms of verbal and nonverbal communication inform others about the nature and severity of an individual’s pain and how health care professionals and others assess and make decisions concerning care delivery. We have several current interests: a) pain assessment in infants, children and populations with a limited ability to communicate, b) the distinctions in pain expression between automatic/reflexive and purposive/controlled manifestations, c) the relative importance of different cues and displays for accurate and biased observer judgements, and d) the application of computer vision and machine learning technologies to the objective assessment of pain. Hawley, K., Huang, J.S., Goodwin, M., Diaz, D., de Sa, V.R., Birnie, K.A., Chambers, C.T. & Craig, K.D. (2018). Youth and parent appraisals of participation in a study of spontaneous and induced pediatric clinical pain. Ethics & Behavior, DOI: 10.1080/10508422.2018.1463163. Craig, K.D. (2018). Towards the social communication model of pain. In Prkachin, K.M., Vervoort, T. and Trost, Z. (Eds.). Social and interpersonal dynamics in pain: we don’t suffer alone. Springer. Pillai Riddell, R. & Craig, K.D., (2018). Developmental issues in understanding interpersonal features of pain. In Prkachin, K.M., Vervoort, T. and Trost, Z. (Eds.). Social and interpersonal dynamics in pain: we don’t suffer alone. Springer. De Ruddere, L., & Craig, K.D. (2016). Understanding stigma and chronic pain: A state of the art review. Pain, 157, 1607-1610. Williams, A. C.deC. & Craig, K.D. (2016). Updating the definition of pain. Pain, 157, 2420-2423. Hadjistavropoulos, T., Herr, K., Prkachin, K.M., Craig, K.D., Gibson, S.J., Lukas a., & Smith, J.H. (2014). Pain assessment in older adults with dementia. Lancet Neurology, 13, 1216-1227. Craig, K.D. (2014). Putting the social in the biopsychosocial model of pain. Pp 127-139. In S. Cooper & K. Ratele (Eds.). Psychology Serving Humanity: Proceedings of the 30th International Congress of Psychology, Capetown, S.A. Psychology Press. Langford, D.J., Bailey, A.L., Chanda, M.L., Clarke, S.E., Drummond, T.E., Echols, S., Glick, S., Ingrao, J., Klassen-Ross, T., LaCroix-Fralish, M.L., Matsumiya, L., Sorge, R.E., Sotocinal, S.G., Tabaka, J.M., Wong, D., van den Maagdenberg, A.M.J.M., Ferrari, M.D., Craig, K.D., and Mogil, J.S. (2010). Coding of facial expressions of pain in the laboratory mouse. Nature Methods. 7(6), 447-449. Craig, K.D., Versloot, J., Goubert, L., Vervoort, T., & Crombez, G. (2010). Perceiving others in pain: Automatic and controlled mechanisms. Journal of Pain, 11, 101-108.